The European Youth Award (EYA) was established to support digital solutions that will have a positive impact on society and actually improve people’s lives. EYA wants to motivate young people to develop social enterprises and start-ups and supports them in assessing the skillset and network they need to have sustainable success. Young People from all over Europe demonstrate their potential to create innovative solutions with the Internet and Mobile technology addressing the goals defined by the Council of Europe and Europe 2020. The European Youth Award is organized by the International Center for New Media, a Non-Profit Organization based in Salzburg, Austria, and the Austrian partner for the mYouth project. 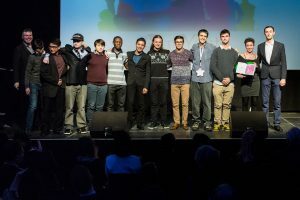 The annual winner’s event (EYA Festival) is a unique event – it combines knowledge transfer, innovation, enhanced networking, inspiration, and motivation – that takes place in Graz from 28th November to 1st December 2018. It is a public event and everybody is welcome to join. The contest is designed for young people with creative minds, who are under the age of 33, living in one of the member states of the European Union or Council of Europe or Union for the Mediterranean, Belarus or Kosovo. EYA supports young innovators who have produced an outstanding, innovative digital project to improve society (e.g. website, app, wearable device, digital installation). EYA winners can present their inspiring projects and receive feedback from Europe’s most vibrant and lively digital community. IT pioneers, expert speakers and experienced entrepreneurs share their experience and know-how in keynotes and interactive workshops. EYA is the place where smart people exchange and discuss innovative ideas and foster cooperation at networking events in a creative environment. This year, projects that entered the mYouth program activities, are able to also reach the EYA competition. After participating at one of the Continental Mobile App camps in Ghana, Hongkong and Austria getting selected to the mYouth training in Macedonia, mobile applications which were the outcome of these app camps were supported through the project and entered this all european competition. As part of the EYA Festival Gala the mYouth winners are invited on stage and present their project to a huge crowd. 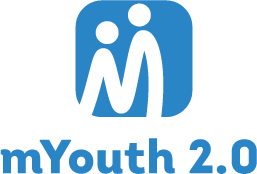 Namely, in the last mYouth edition 2016 the Italian project “EgiBU” produced by Noro Ferrutch, Irene Dini, Francesco Cerra and Veronica Selvanetti was the winning mobile app. 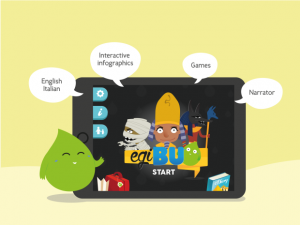 “EgiBU” is an educational app based on infographics and gamification of ancient Egyptian civilization.